Orlando, FL- Occurrences yesterday afternoon had me checking my Google Earth maps to double check that the Orange County Courthouse was not next door to NASA doing their ignition checks. The flare ups were numerous and loud. 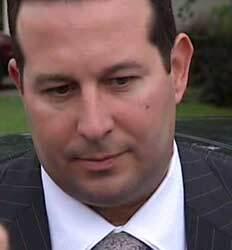 During the motion for exclusion and Frye hearing, Jose Baez, lost it. Avid readers and contributors here know I am not about the drama. This was actually that baaaaadd. 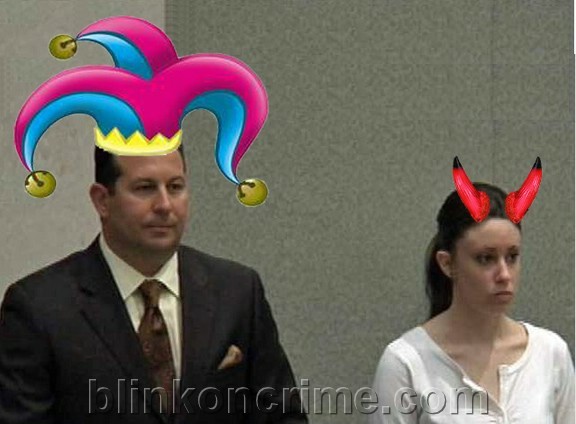 Shy of jumping up and down or retreating to a fetal position with thumb-sucking involvement, Jose Baez, counsel for defendant Casey Anthony, needed a time out, several time outs, and was granted one after his co-counsel's requests, and another, courtesy Chief Judge Belvin Perry. Let's say Jose Baez does not hold any advanced Science degrees. In the interest of disclosure, neither do I.
I do however understand that blaming the State, in this case, Jeff Ashton, for the reason that Mr. Baez missed deadlines requiring him to agree to a stipulation whereby he can no longer subject the "hardware" of Dr. Arpad Vass to the "Frye" test, is a no-n0. Jose Baez: ..It is the easiest thing in the world to hold a contempt charge over a lawyers head, Judge..
Chief Judge Belvin Perry: "...Your co-counsel is trying to speak to you." Jose Baez: "Judge, can we have a 5 minute recess?" Chief Judge Belvin Perry: "You may have a 5 minute recess." This exchange came near the end of what can only be described as a window to the strength of the State's case against Casey Anthony for the murder of her daughter Caylee, and the utter lack of preparation and skill the defense team has by comparison. While it is true that much of what we hear in pre-trial motions is not always what will be admitted at trial, which is the very reason for them in the first place, the defense's lack of knowledge of their own case is not a valid reason to deny something into evidence. It is abundantly clear from this editor's perspective that neither Dorothy Clay Simms nor Jose Baez sufficiently understood the scientific subject matter they are requesting to be rendered inadmissible, or in effect, "junk science". Devoid of strategy, repetitious and largely irrelevant, with several pending motions still to be heard, the defense ate up two straight days. As a result, all parties are back in court next Friday and possibly Saturday. 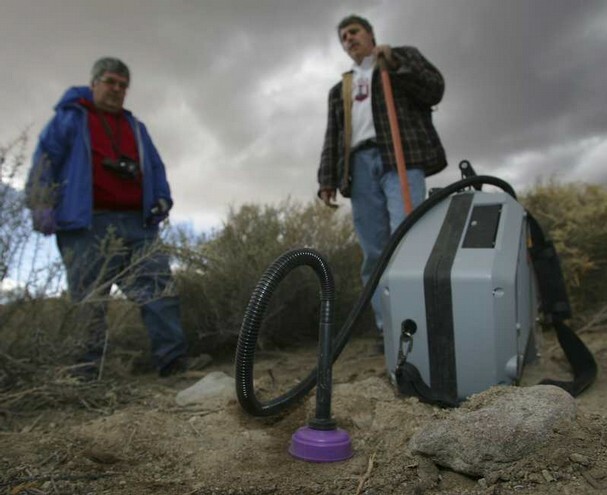 By far the most important witness to take the stand yet , Dr. Arpad Vass, research Scientist of "The Body Farm" fame and globally respected, peer-reviewed author of two separate studies on odor analysis in human remains, NAILED IT. An Interactive Tour of the crime scene off Suburban Drive, the autopsy area and digital DNA lab, and the Anthony home where most believe is where 34 month old Caylee Marie Anthony sadly met her end. Built by a colleague at my request, Angela Talamasca and her team have recreated an interactive simulation that undoubtedly will be used by both the State’s Attorneys and Jose Baez Defense Team. It is designed to provide a virtual experience allowing the final “triers of fact” to literally transport themselves within the evidence and theories they will be presented to consider when determining the fate of the accused, Casey Anthony. 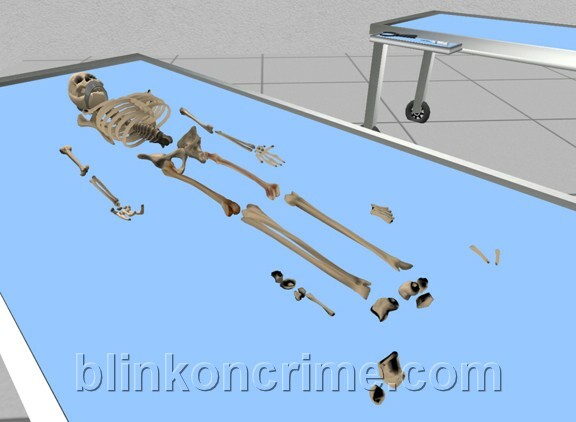 This proof of concept ”build” includes contribution and consult from leaders in the fields of: Forensics, CSI, Crime Scene Reconstruction and Medical Examiners Investigations. Currently, we have closed the simulation “island” to the public while it continues development to reflect known evidence and elements of the case. We got a glimpse of the 3D “view” released in the discovery of a flyover of the area where Caylee Anthony’s remains were found. 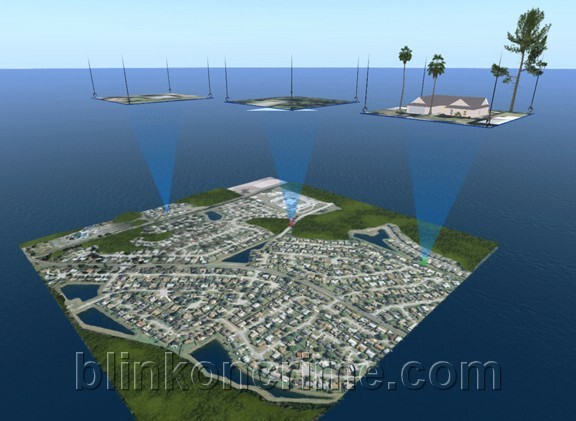 In the second life version (think Wii sims for adults) site called Digital DNA, users will be able to “virtually” tour the scenes by walking through them and simultaneously interacting with the features that will hilight the components and evidence of the case. Take the Museum tour, interactive crime scene case review, test out your own theories “real time” or disprove someone else’s; it’s here.